T-Mobile is still a few days away from its big Uncarrier X announcement, but that didn’t keep CEO John Legere from dropping a bit of news on Twitter Monday morning. T-Mobile is upgrading its wifi CellSpots to 4G LTE and still free for customers with a Simple Choice mobile plan. What is a CellSpot? Well, it used to be a tower-like technology that used wifi to give subscribers better call coverage, but these new 4G LTE CellSpots are actually creating a signal. Basically, they’re mini cell towers that are small enough to not look awkward next to your modem and/or router. This new gadget is for subscribers who have no coverage in their homes or for business subscribers who lose signal inside their brick and mortar. Because yeah, T-Mobile has dead zones. 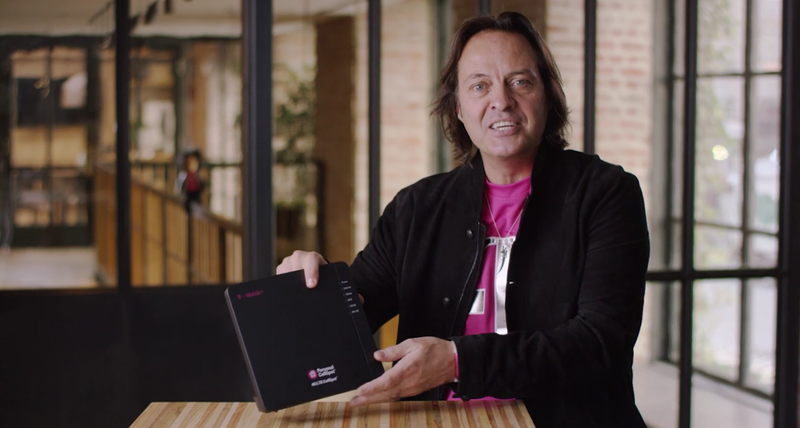 Legere knows it, and subscribers definitely know it, so the 4G LTE mini tower is meant to fill in those gaps, providing a 3,000 sq ft range of coverage (where T-Mobile has spectrum, that is). The new LTE CellSpots will be available through T-Mobile November 4 for a $25 deposit (which is refundable, of course).